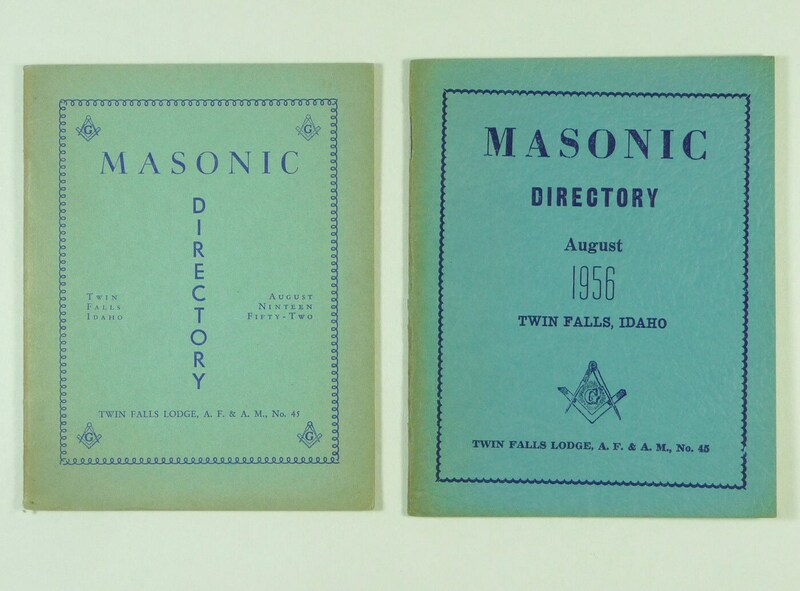 Description: Two Masonic directories for the Twin Falls, Idaho Lodge, A.F. and A.M, No. 45. One is dated August 1952 and the other is August 1956. Both have a little tanning around the edges, but otherwise are clean and free of any marking or writing. Size: Both are 4 x 5"
Pages: 21 and 22 pages respectively.